Richard Ho’s grandmother spoke into Cherie Sadie’s camera. “As old as the mine dumps. As old as Mandela. We were born in the same year. So I am not exactly sure what I imagine and what I remember. Is there a difference? Not much, if you ask me. “Sometimes when I am in bed, I think I hear the whistle of a steam locomotive. But there haven’t been steam trains in Johannesburg for years. So the train I hear is probably only my memory. Or my imagination. 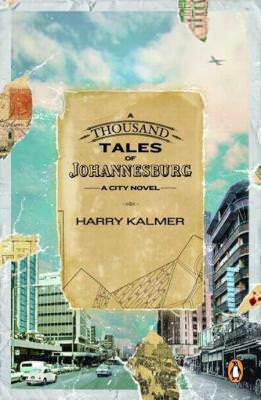 “At night in Chinatown you could hear the trains shunting at the municipal market and in the Braamfontein Yard. Steam trains. Toot-toot. Clickety-clack. But my first memory is of another place. “My father owned a shop next to a mine. It was during a strike. There was a Boer woman. Afterwards we heard that her husband was a scab. She was on the stoep of my father’s cash store when a piece of coal hit her in the eye. Nobody knew who threw it. I’m telling you, she screamed. She dropped to her knees and cried like a baby. I remember it like it was yesterday. She was wearing a white apron and one of those kappies that the poor aunties wore in those days. Blood spurted from her eye like a fountain. “I seldom speak Afrikaans these days. But the pretty words come back all the time. Words like ‘fontein’ and ‘lokomotief’. Not words you hear a lot any more, if you hear what I’m saying.